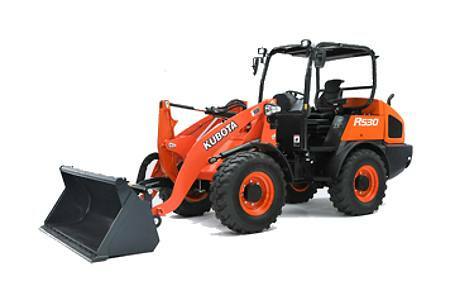 Kubota Engine with Automatic Regeneration: The Common Rail System electronically controls the fuel injection timing and amount in stages, rather than all at once, for optimal combustion. The results are great efficiency, better fuel economy and less engine noise. Its combination with the Exhaust Gas Recirculation (EGR) and Diesel Particulate Filter (DPF) Muffler reduces emissions to make the R530 Tier 4 Final compliant. 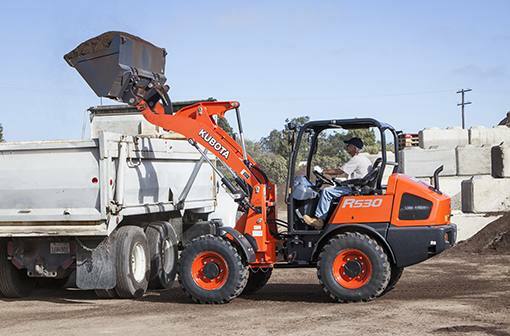 Kubota's original automatic regeneration system automatically burns accumulated particulate matter (soot) in the DPF muffler to keep it clean. For operational reasons, regeneration can be turned off and manually accomplished at a more appropriate time. 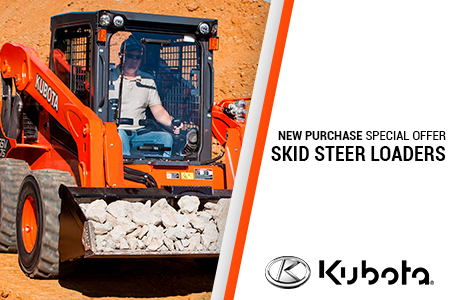 Serviceability: Machine features a large rear hood for easy engine access. The engine bonnet at the rear opens wide, providing quick and easy access to the machine's main service areas. The above dimensions are based on the machine with std. 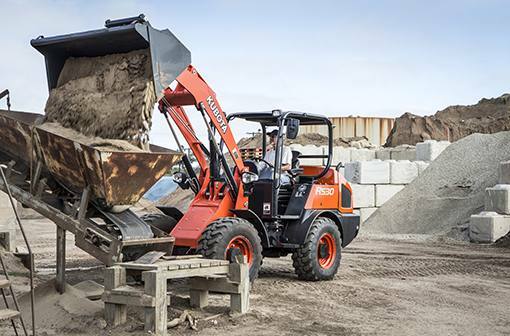 tires, skid steer type quick coupler, standard bucket and ROPS/FOPS canopy and cabin. The company reserves the right to change the above specifications without notice. This brochure is for descriptive purpose only. 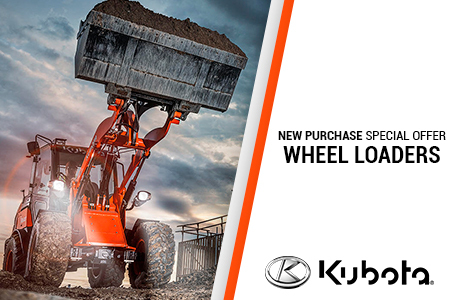 Please contact your local Kubota dealer for warranty infomation. 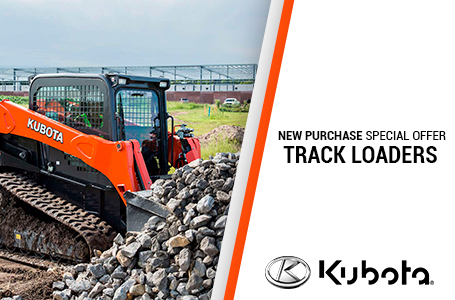 For your safety, Kubota strongly recommends the use of a Rollover Protective structure (ROPS) and seat belt almost all applications.